Wear one cuff, two, or all three at a time. Each bracelet is embossed metal with a burnished silver finish. 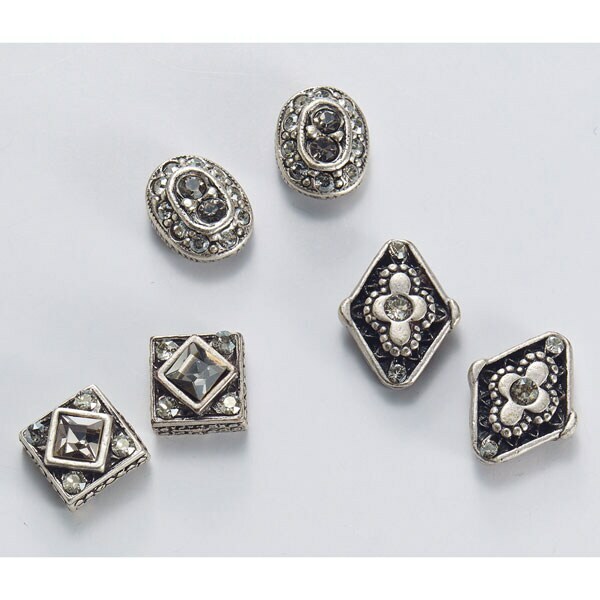 The ornate ½" endcaps are based on vintage Victorian stick pins. Bands are about ¼" wide and slightly adjustable; pinch to size. Post earrings are about 3/8" to ½". Wear as pairs or mix-and-match. Designed by award-winning jewelry artist Shelley Cooper, made in Los Angeles. Sets of 3 bracelets or 3 pairs of earrings (sold separately).